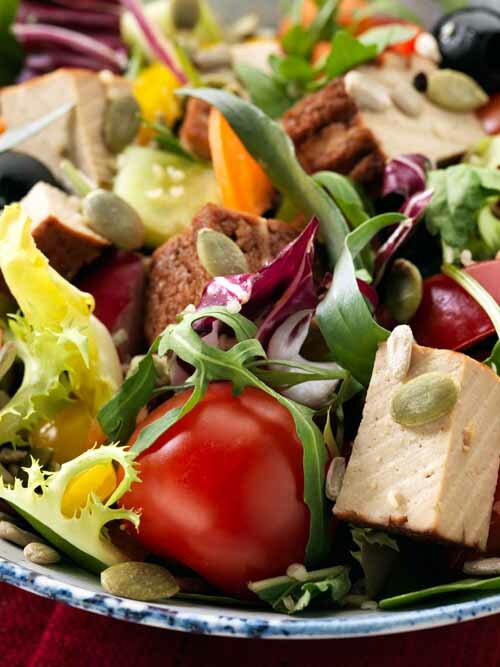 Laura’s love for Japanese cuisine appears again in this Smoked Tofu Salad. In fact, we use a lot of tofu at Laura’s Idea but it’s often disguised into a spread or cake. Contrarily, in this salad, the smokey tofu takes centre stage and sits proudly on its bed of fresh salad greens, rocket and other vegetables. A great source of plant-based protein, iron and calcium, grab this salad for a balanced diet! 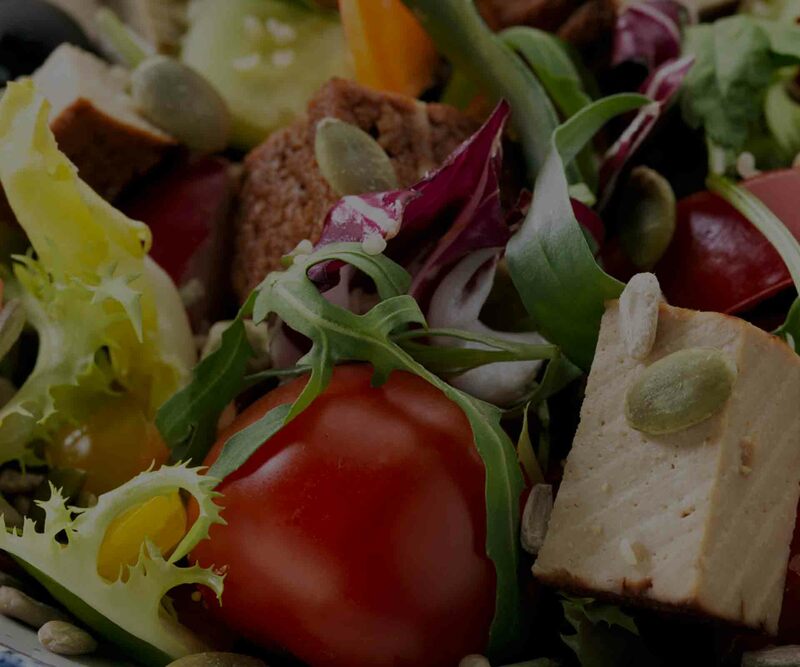 Organic smoked tofu 19% (GM-free soya beans, nigari, sea salt), green salad leaves, rocket, parsley, radish, tomatoes, peppers, gherkins, carrots, green olives, seeds (sunflower, flax, pumpkin). Homemade sauce: cucumbers, dill, organic lemon juice, onions, garlic, black pepper, sea salt, olive oil.